NORTH TAMPA CLASS B OFFICE BUILDING – Danner Construction, Inc. This North Tampa office building has more than 18,000 sq ft. 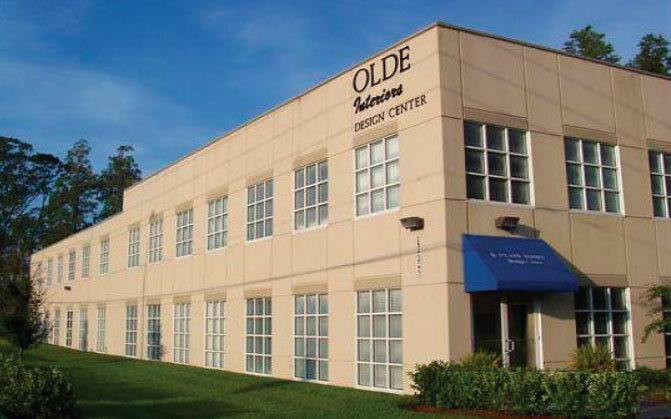 Delivered as a design/build project for Olde Interiors, the spaces were designed to serve as a new home decorating center including office space, showroom areas and warehouse spaces. The full service project included construction of the building along with site development, asphalt paved parking, on-site storm water retention, and underground water and septic utilities. The building is a pre-manufactured metal building with an exterior insulation finish system applied to two sides of the building. The ground floor includes a services showroom and warehouse component with loading dock and grade level access. A second floor concrete over metal deck system services the general office space for the building. The showroom area required different finishes for unique display areas. Floor finishes, wall finishes, and electrical work varied for areas including kitchen and bathroom displays, toilet accessories, window treatments, flooring, and lighting displays.